Why not represent in the rain? 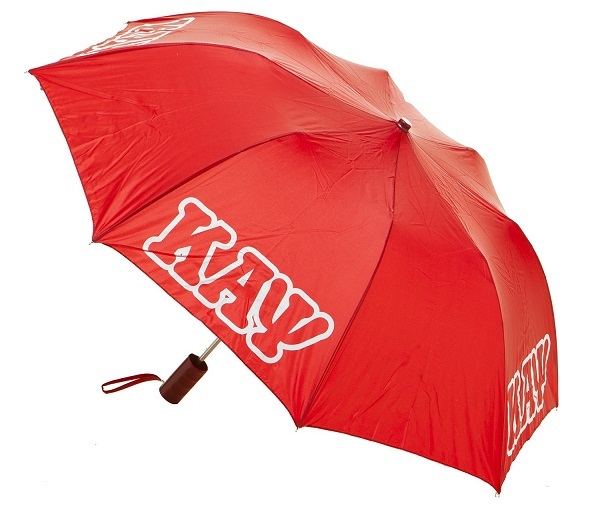 This umbrella lets you do just that!! This tote umbrella opens by the push of a button and includes a carrying case. It opens up to 22" wide.